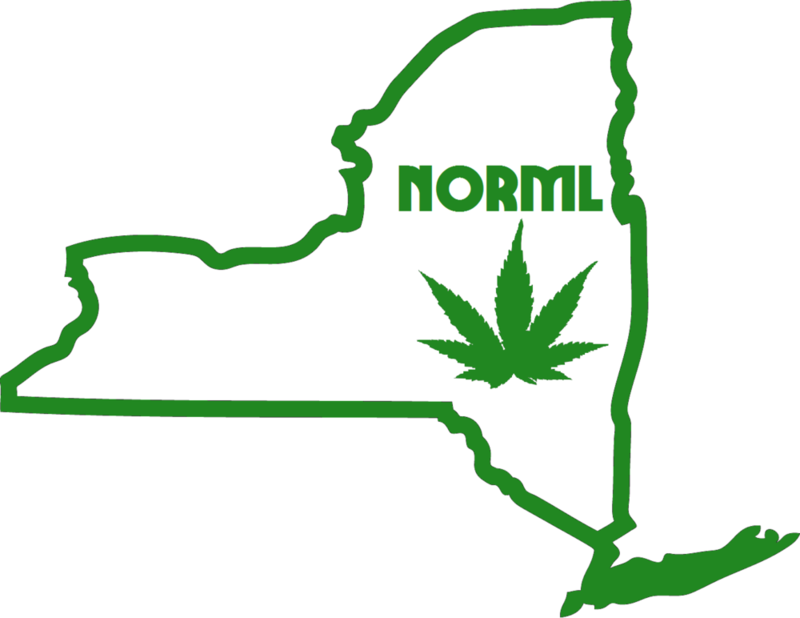 Below you will find the Public Comments on Proposed Rule Making - Medical Use of Cannabis submitted to the NYS Department of Health. Proposed regulation: Section 80-1.2(a)(8) requires that a practitioner’s certification be limited solely to the specific severe debilitating or life-threatening conditions defined in subdivision seven of § 3360 of the public health law, which are listed therein, or any other condition added by the commissioner. Comment: The specific severe debilitating or life-threatening conditions (the “Qualifying Conditions”) listed therein represent a small subset of the conditions for which cannabis has been shown to be safe and effective for. We believe that there was little input from health experts on the final list of Qualifying Conditions. The department should promulgate regulations establishing a medical expert review process for adding and deleting Qualifying Conditions. Proposed regulation: Section 80-1.3(d)(4) provides that an application for a registry identification card shall include a nonrefundable application fee of fifty dollars; provided, however, that the department may waive or reduce the fee in cases of financial hardship as determined by the department. Comment: The department should set explicit standards for financial hardship, such as eligibility for various federal means tested programs, i.e. the Supplemental Nutrition Assistance Program (SNAP), nonemergency Medicaid, Supplemental Security Income (SSI), and Temporary Assistance for Needy Families (TANF). See also Colorado’s rules specifying income criteria for an indigence fee waiver. Proposed Regulation: Section 80-1.4 provides that caregivers designated to handle approved medical marihuana products on behalf of certified patients are required to register with the department according to the procedures detailed in this section and to obtain a registry identification card. Comment: To provide and expedite emergency access to medical cannabis, and prevent further loss of life, caregivers whose patients are not within a set distance of a RO dispensing facility should be legally allowed to purchase, transport or cultivate medical marijuana in limited quantities for their patients legally as long as they are registered with the State, as they do in Massachusetts and Arizona. Pursuant to proposed § 80-1.11(g), medical marihuana products will be strictly limited to highly processed and costly forms of administration. Therefore, the department should also consider the willingness of applicants to dispense medical marihuana products to certified patients on a sliding scale or for free. See, for example, regulations implementing the District of Columbia’s sliding scale program and Massachusetts’ requirement that registered marijuana dispensaries must have a program to provide reduced cost or free marijuana to patients with documented verified financial hardship. Proposed Regulation: Section 80-1.11(c)(1) provides that each registered organization may initially produce up to five brands of medical marihuana product with prior approval of the department. These brands may be produced in multiple forms as approved by the commissioner. Thereafter, additional brands may be approved by the department. However, in no case shall marihuana in unprocessed whole flower form be made available to certified patients. Comment: Not allowing certified patients to access cannabis in its natural unprocessed form is unique to New York and Minnesota. Cannabis has never been listed as a primary cause of death in mortality statistics. By prohibiting access to whole plant cannabis, there are likely to be certified patients with qualifying conditions that will be unable to fully benefit from the medical marihuana products permitted under the proposed regulations. The synergistic effects of whole plant medicine have been well documented over the years. The department should allow dispensing facilities to supply certified patients with whole plant cannabis for vaporization. Furthermore, placing a limit upon how many brands a registered organization may initially produce will reduce the public health benefits of the program. Practitioners’ abilities to help a certified patient determine the brand that best treats their qualifying condition would be maximized by lifting this cap, which will restrict patients from being able to find the brand that’s best suited to treat their qualifying condition. NJ initially limited each ATC to three strains of low, medium and high potency, but those restrictions were repealed in September 2013. Proposed regulation: Section 80.1-16 relates to the marketing and advertising of registered organizations. It seeks to limit the time, place and manner in which such advertising and marketing of a registered organization is permitted. Comment: The restrictions far exceed the constitutionally permissible regulation of commercial speech under time, place and manner restrictions and force registered organizations to incur restrictions that are not imposed on pharmacies or other facilities that market medicines in general or for specific afflictions. The limitation of only one public visible signage, limited to black and white print, and the proscription of using any language or art that promotes medical marijuana in that signage is not a proper basis to prohibit commercial speech. Further, the requirement that there be no promotion of a particular strain or brand for a the treatment of a particular symptom is unduly restrictive as the limitations on the number of strains that may be carried requires selectivity in the types that can address various symptomologies. Last, the requirement that any claim of effectiveness be fair and balanced and supported only by demonstrable medical research and reports that are widely accepted in the medical profession are unduly burdensome. The medical profession has been deprived of meaningful opportunities to conduct mass scale research and the number of scientific reports that delve into the effectiveness of marijuana are scant and not widely accepted because the medical profession has been limited in such research due to the continuing Schedule I status of marijuana under the Controlled Substances Act. The better approach would be to allow advertising in line with that permitted by other purveyors of medical products; permit promotion of strain effectiveness based upon anecdotal information known to the vendor; and the ability to rely upon research that is founded upon accepted medical methodologies regardless of whether the particular theory promoted has been widely accepted in the medical community. Compassionate Care Act advances in NY Senate! What's next? Compassionate Care Act advances in NY Senate! Editors note: This action alert is from 2014 and no longer active The Compassionate Care Act passed the Senate Health Committee this week by a 9-8 vote with Republican Senator William Larkin casting the deciding vote. Now Medical Marijuana passed through the Health Committee for the first time sense 2009 it is now on to the Senate Finance Committee. The Senate Finance Committee is made up for 37 seats including 20 republicans and 17 democrats. We need at minimum 19 votes to pass this bill. The people of New York NEED to put more pressure on the Senate Finance Committee to make sure we have enough vote to pass it through. The Senate Finance Committee Chair, Senator DeFrancisco, said is a statement on Friday that he is relinquishing himself from responsibility of having to call the bill to a vote, instead he is leaving it up to Senate Leadership "If the two leaders want it on the agenda, it will go on the agenda." One of the two, Senator Klein, is a co-sponsor of the Compassionate Care Act, so he would want it to come to a vote naturally. One can only assume because of that what Senator DeFrancisco really meant was if the Republican half of the Senate leadership, Senator Skelos, wants it to be on the agenda, it will be on the agenda. The Compassionate Care Act NEEDS to get on the agenda, NOW! We have until June 19th to pass this through the Senate Finance Committee, The Senate Rules Committee, The Senate Floor and then the governor can sign it into law. If you're asking yourself what you can do to help pass the Compassionate Care Act, ask no further and read below. Hi, my name is (Your Name), My zip code is (Zip code) and I would like to ask Senator Skelos to support the Compassionate Care Act and ask Senator DeFrancisco to bring it to a vote in the Finance Committee. Thanks, Have a nice day! Call the Senate Finance Committee members office's(see list below), asking each and every one of them to support the compassionate care act. Hi, my name is (Your Name), My zip code is (Zip code) and I want to urge the Senator to support medical marijuana and to vote for the Compassionate Care Act. Thank you and have a nice day! If you're unable to or don't want to make phone call's you can goto our action alerts on www.norml.org/act and email your senator with a pre-written email!